I find myself saving odd things: receipts from dates that I’ve been on, handwritten notes, concert tickets, and sometimes tags from the clothes I buy (they make awesome bookmarks!). I used to think that I was just sentimental, but now I’m not so sure. I collect quite a few things, as well, besides the sentimental. But, these things are what most people would consider normal: books, bicycles, shoes and clothing. After reading the book Stuff: Compulsive Hoarding and the Meaning of Things by Gail Steketee and Randy Frost, I’m starting to think that I might have some slight hoarder tendencies. Hoarding is a compulsion to hang on to objects, inanimate and sometimes animate, that has been linked to OCD. 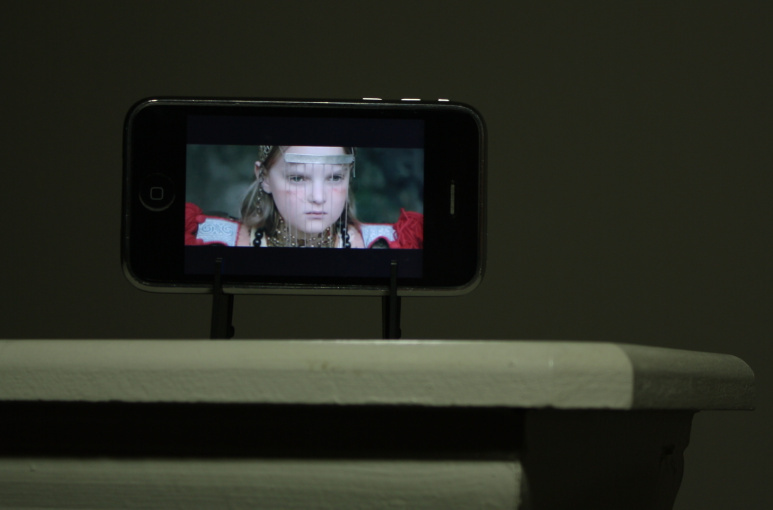 It is described primarily by the inability to discard objects and also by the compulsion to always acquire certain objects. I’m guilty of a little bit of both, though, probably, more so, the latter. In the book Stuff the authors describe certain cases of hoarding and the people in the lives that are affected by the person who suffers from this disorder. It delves into the psyche of these individuals and allows the reader to see the mindset of what can trigger a person to start hoarding, and also what keeps them in the mindset of always having to acquire or not discard an object. I found myself comparing my collecting tendencies with the people in the book who suffer from extreme hoarding. A few of the triggers and reasoning I was able to relate to, and it had me smiling thinking, yeah, that’s me. For example, one lady had a compulsion to constantly hoard and buy new clothes. So much so, that she nearly sent her husband and her family into bankruptcy and had accumulated a massive amount of debt. Her reasoning behind purchasing an item? If it was on sale or at a reduced price, it seemed absurd not to take advantage of the reduced price and buying the item. I find myself using this logic a lot when deciding to purchase an item that I’m not entirely sure I should acquire. Another similar “gift” that I find I have in common with some of the hoarders, is the ability to see the potential function of an item (clothing tags as bookmarks) and also the detail and aesthetics of an item. Maybe that’s why I’m such a fan of art and museums? The book mentions that most hoarders have the inability to decide on something immediately (guilty) and that some have symmetry obsession (also, guilty). Symmetry obsession meaning that a person must have things set in a certain way, lined up, or spaced apart in a certain manner that is to their liking. Someone pointed out that I do this, which, I was completely unaware of, though, it’s not that severe. Another difference—that leads me to believe that I’m not a complete hoarder—is that I’m able to see that I have a lot of stuff and can recognize that I don’t have a lot of space in my apartment as it is. A lot of hoarders in the book end up filling their house beyond capacity, storage units, and sometimes a second house! They cannot see that they’ve amassed an overwhelming amount of stuff, and are only sometimes aware of it if someone is visiting their house. This leads a lot of hoarders to live a life of solitude. Stuff does not get too wordy with psychological terminology and does not leave the reader feeling like they should have majored in psychology to get the concept that is being presented. It is a clear and concise book, and is a very enjoyable read from start to finish. It definitely provided insight into why I may hold on to a receipt from a sushi restaurant, a guide from an art exhibition that I attended at The Modern, or even small plastic hangers that came with some sweat bands that I purchased—I immediately knew I was going to use them to prop my iPhone up before tossing them into the recycling bin. 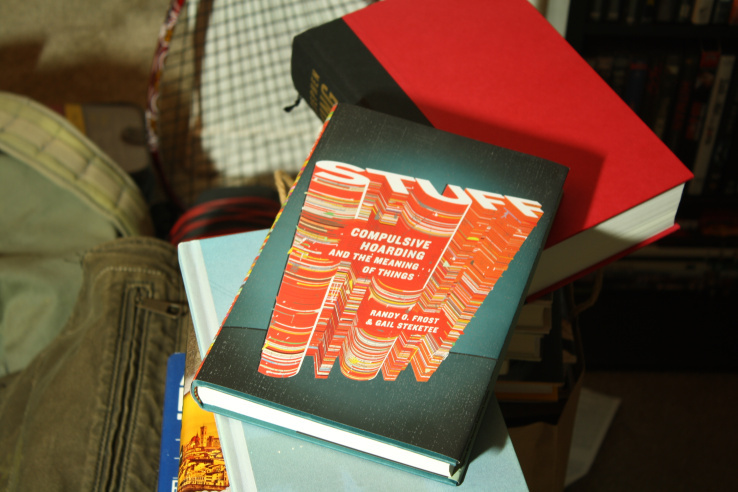 Stuff: Compulsive Hoarding and the Meaning of Things is definitely a book that should be added to your collection (or at least read, if your collection is already way too big). Through the study of various hoarding cases it provides insight on what it means to hoard, why it is people do it, and what can lead to it. Read this book and you might just find, there’s a little bit of hoarder in all of us.